Get mascaras, lipsticks, eyeshadows, eyeliners and glosses from the biggest brands – Revlon, Max Factor, L'Oreal, Maybelline – for only $1 a piece! Do you want to bag a bargain while doing some good? All from the comfort of your computer? Look no further than Dollar Cosmetic Club! 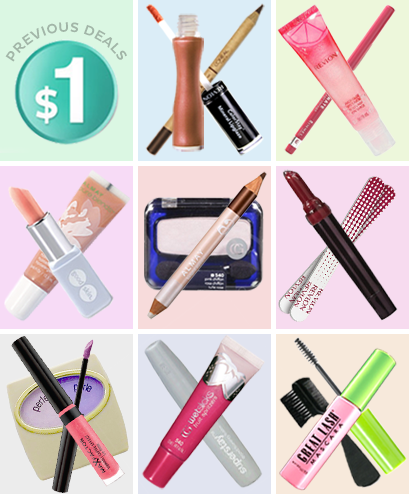 Get mascaras, lipsticks, eyeshadows, eyeliners and glosses from the biggest brands – Revlon, Max Factor, L'Oreal, Maybelline – for only $1 a piece! You can buy up to two per purchase, plus, if you share from your cart to Facebook or Twitter they'll throw in a bonus cosmetic item; just their way of saying thank you for sharing the love! What's more, you'll be supporting great causes! Recently, they donated all product proceeds from those dollar deals to the McGraph Foundation raising nearly $45,000. Plus, you can get 20% off their general product range at BeautyCorner.com.au your one stop shop for skin, hair and cosmetic care.